Nestled on a giant flatland or plateau flanked by seven mountains; Gauchar is a scenic little town within Karnaprayag sub division of Chamoli district in Uttarakhand. The small town is situated on the left embankment of Alaknanda River at an altitude of 2,620 feet above sea level. 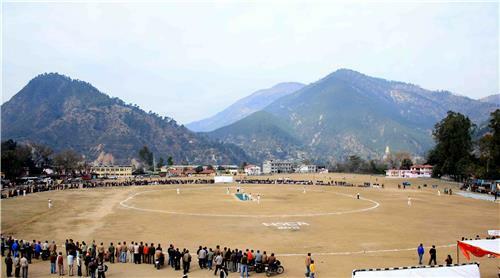 Gauchar’s strategic topography makes it a viable region with a massive open area in Uttarakhand region which serves as an airbase and also plays host to the historical trade fair held every year. Gauchar is a popular stopover or resting place for pilgrims visiting Badarinath Temple in the mountains. 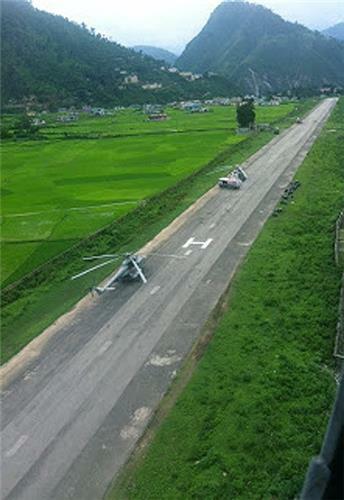 The airstrip acted as a vital rescue zone and relief base for the Indian Army operations for victims of the 2013 flash floods which ravaged Uttarakhand. It is estimated that in between 1000 AD and 1803, Gauchar was ruled by the Pal dynasty (also known as Shah Dynasty then under the rulership of Pradyuman Shah) which was overthrown by the Gorkhas during the devastating earthquake which ravaged the area. The British captured the town in 1815 and merged it with Chamoli district. After independence in 1994 Gauchar was upgraded to a Nagar Pachayat. Thereafter Gauchar was owned by the Panwar kings who ruled Garhwal region previously which they gifted to the Badarinath Temple. Much later in the 1920s, Gauchar came into the limelight when wife of then Viceroy of India; Lady Willingdon landed on the airstrip followed by Pandit Nehru’s visit along with his sister Vijay Lakshmi Pandit enroute Badarinath in the year 1938. Gauchar Mela or Gauchar Trade Fair is a popular event in the region being held since 1943 conducted by the Bhotias of Chamoli district specializing in woollen garments, asafetida, jewels, cloth etc. The industrial fair is organized every year from 14th November for a week along with folk dance and songs, cultural performances attended by tourists from neighboring regions as well as far flung places. Gauchar is strategically located in one of the biggest expose tableland in the mountains enabling air operations and the area acts as an airport. It is situated at an angle of 30.28° N 79.15° E.
Gauchar airport acted as a lifeline for transporting airlifted victims of Uttarakhand flash flood in 2013 and a relief base for the military operations underway. Gauchar is comprised of twenty two villages in total namely; Angodh, Khajurdhar, Gaulung, Chinka, Chatwa Pipal, Bamoth, Panai, Quithi, Dua, Danda dhamdham, Galnau, Bhatnagar, Besoud, Bandarkhand, Matha, Ranau, Rawalnagar, Sari, Saile, Srikot, Sidoli and Jhalimath. Devotees and pilgrims rest in Gauchar before embarking on the pilgrimage towards Badarinath Temple. However there are a few notable tourist and religious spots in Gauchar such as Bhairavnath Temple, Mata Kali Temple and Paneshwar Shivalaya. Gauchar provides an amazing view of the Alaknanda river from high above. Gauchar can be visited through the year except monsoons when the roads might get damaged by heavy rainfall and landslides. There are not many big hotels in Gauchar area although there are several hotels in its neighborhood. The nearest airport to Gauchar is at Jolly Grant Airbase in Dehradun while the nearest railhead is in Rishikesh at a distance of 235 kilometers. Gauchar can also be accessed by National Highway 58 from destinations like Delhi, Rishikesh, Haridwar and more. 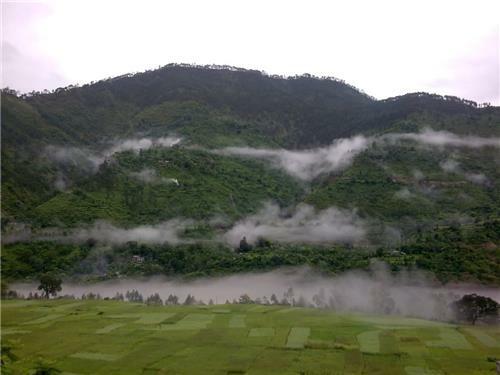 Gauchar offers a spectacular view of the Alaknanda River with several religious spots in the vicinity. Besides, Valley of Flowers is located very close to Gauchar as well as Hemkund Sahib. Badarinath Temple is located quite close to Gauchar and there are plenty of destinations around the region. Hariyali Devi Temple in Jasoli village near Gauchar, Karnaprayag and Rudraprayag are notable sightseeing spots that are highly recommended for tourists visiting the region. Gauchar’s topography makes it a crucial stopover for major religious destinations in Devbhoomi Uttarakhand whereby it acts as a gateway to the mountains with the biggest flatland at a straggering height. Gauchar does not have basic emergency options to tackle with unforeseen circumstances for which residents have to visit neighboring towns to avail these facilities. The closest hospital to Gauchar is in Gopeshwar in Uttarakhand. There are not many healthcare facilities in Gauchar and residents have to visit nearby towns for availing advanced healthcare facilities.